When I first started blogging I didn’t know how much work went on behind the scenes of a blog post. I’m talking about SEO, social media promotion, graphic design etc. I would simply write a post, hit publish and share it on my channels. I’m telling you the amount of information my brain has been subjected to during those 365 days of intensive blogging is crazy. With a little knowledge of HTML coding, you can easily add a separate ALT text AND Pinterest text to any image for free. When I started strategically sharing my blog posts on Pinterest I saw a huge jump in my traffic. Today, over 80% of my referral traffic comes from the platform! Think of Pinterest like a search engine. People visit the website to search for interesting articles, recipes and products to save for later or access right away. If you’re not part of that party you’re missing out! Also, unlike other social media platforms, anything you share on Pinterest lasts much longer than the average gram or Tweet. For example, when you share something on Twitter, you can expect your Tweet to receive the majority of its engagement within the first 15 minutes. On the other hand, your Pinterest pin might receive high engagement the first week, first month or four months down the road go randomly viral! The pin’s life is much longer and therefore a more stable source of traffic. For more reading on optimizing your Pinterest for higher engagement check out another post of mine. Alt-text vs. Pin Text: What’s The Difference? Once you’re familiar with promoting on Pinterest, you’re probably adding vertical images to your blog posts that people can pin. However, a lot of people run into some trouble, including me at one point, about the difference between Alt-Text and Pin Text. Alt-Text (alternative text) is added to an images HTML coding to describe the image should it fail to appear on the page or for the impaired. It’s also used by Google for SEO purposes. Pin Text is also added to an images HTML coding to provide a keyword rich description that Pinterest pulls when people pin your image. Here’s where it gets tricky for some people. When you upload an image to your WordPress website, you’re given the option to include alt-text and a caption, but no pin text. People often get around this by using the alt-text field to include their pin description instead. It’s extremely important for the success of your website that you include proper alt-text and pin text separately. When you include one without the other you’re harming your Google SEO or Pinterest SEO depending which you choose. Also, if you add your pin text in the alt-text field, like many do, the information you’re providing Google or the impaired reader makes no sense. This can harm your SEO and make your website less accessible. Alternatively, include alt-text without adding pin text and Pinterest will pull the alternative text with your pin. This is poor Pinterest SEO. You see why it’s important to include the two with your images? You can easily do this, and for free, following the next steps. You have two options for optimizing your image for Pinterest and Google SEO. My favourite way to ensure I’m not compromising my alt-text is by adding a little bit of addition HTML to the end of my image coding. Don’t run away because I mentioned HTML. Adding to the coding is actually extremely easy and I’ll explain it for you in detail. This method works in WordPress’ Classic Editor. It’s also free! Step 1: Upload and add your Pinterest image to your blog post. Step 2: Add the alt-text in the field box by editing your image. Remember, alt-text should be descriptive, to help describe the image they can’t see on the screen. It also provides information to Google. Step 4: In the classic blog editor, click your vertical Pinterest image. Once it’s highlighted, change the editor from “visual” to “text”. These options should appear on the top right of your editor. You should now see the HTML of your post, and if the image was selected, the images HTML should be highlighted. If there is no highlighted HTML, go back into your “visual” editor and make sure you click the pin before entering the “text” editor. Step 5: In the highlighted HTML find the end of it and paste the code you copied earlier before the />. This usually appears right after the images size measurements. Step 6: Lastly, in the code you just pasted, find the text in the quotation marks, “Your Pinterest description here”, and add your pin description and hashtags. Step 7: Now you can return to the visual editor and remember to save or update your post. To test if it worked, try and pin the image using the Pin It browser extension or plugin on your blog. If the pin includes the description you added then it worked! If you’re not comfortable with HTML coding, or you prefer the ease of using a WordPress plugin, this option will also work. 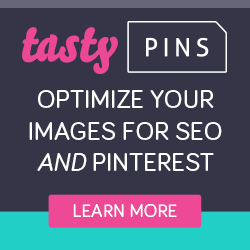 With Tasty Pins, you can optimize your image for Google SEO and Pinterest SEO easily. Once installed to your WordPress dashboard, you will have more options when optimizing your image in the editor. Instead of a field for Alt-text and a caption, you will also have a field for Pinterest Text. On top of that, you will be able to hide your pins on your page, make certain images unpinnable, and add a hover pin it button. There is no need to alter the HTML of your image, the plugin does that for you! It’s $29.99USD/annually for this feature through Tasty Pins. Now that you know the difference between Alt-text and Pin text, which method of separating the two are you going to use on your website? If the thought of working with HTML coding is exciting to you I recommend giving the first option a try. However, if the small investment for Tasty Pins makes you happy that’s a great option too! Whatever you choose, make sure you’re using alt-text and pin text the way they were originally created for. Your website growth will thank you for it! Sarah Fournier is an emerging online entrepreneur, freelancer and Pinterest virtual assistant. She is passionate about Pinterest marketing, blogging tips and personal growth. Through her blog she helps her readers overcome self-doubt, embrace their best self and take that leap of faith into launching their own online biz. You can find her over at caffeineandconquer.com, @caffeineandconquer on Instagram and @caffandconquer on Twitter. « What is GDPR and is Your Blog Compliant? 28 Comments on Alt Text and Pin Descriptions – Why You Need to Know the Difference! I needed this!! Thanks you for all the info!!! Awesome! So glad it helped!! Yes! I’m so happy you found this useful! I didn’t know this! I will implement the html option as I’ve been doing an html course so actually makes sense to me for once! It’s so easy once you understand HTML. Glad it was helpful! Yes, Sarah does an amazing job of making it easy to understand! So glad you found it helpful! I had no idea! Looks like I’ll be working on this tonight lol! Thanks for the post! There’s always something new to learn in blogging for sure, Karie! I don’t think it ever stops. lol. 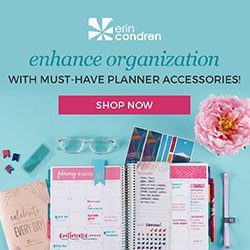 So glad this could be of help to you! Thank you for explaining the difference, this has ALWAYS been something I was confused about! Yes! Sarah does a wicked job of breaking it all down for us! 🙂 So glad it helped you! Yes! The plugin has been a life-saver for me! You bet! Glad we could help out. Sarah has some amazing tips! Wow! This is so helpful. I am going to go in and try this on some of my posts now. Thanks for the tip! You’re welcome, Nicole! So glad you found some useful info in this article! This is a GREAT post – super well written for anyone, even those who dont know html can get this down now! Still trying to get in better practice for pinterest workflow, since theres so much more you can do now than a few years ago. It’s been a challenge to keep up with the Growth of Pinterest Marketing the last (can you believe it) 10 years. Thank you so much Lee! It is a tough one to wrap your head around! It was so great that Sarah could help us our on this one. MIND BLOWN!!! I am still learning SEO and I have been doing this all wrong! Yes! Sarah did an amazing job for this guest post!! I’m so glad that you could take some new things away from it!